The GEARWRENCH 81208F 3/8'' Drive Cushion Grip Teardrop Ratchet features an enclosed head design for extreme resistance to dirt infiltration with a flush mounted on-off switch and a 84 tooth teardrop shaped head. Also featured on the GEARWRENCH 3/8'' Drive Cushion Grip Teardrop Ratchet is a dual material comfort grip handle with a bright chrome finish that allows access to hard to reach fasteners. 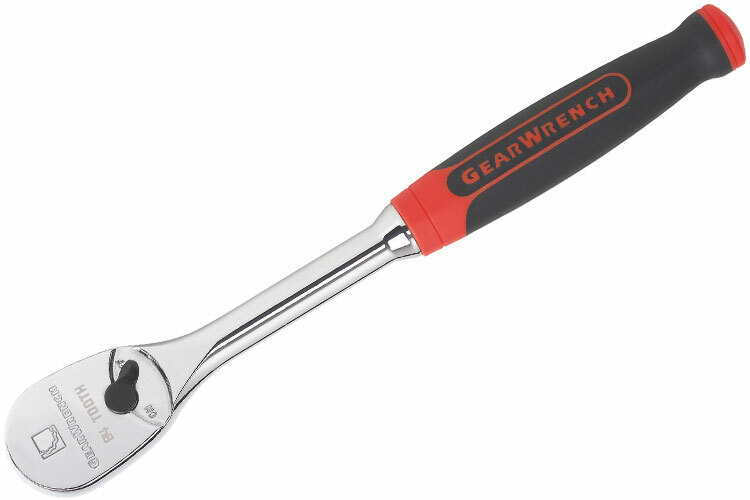 The GEARWRENCH 81208F 3/8'' Drive Cushion Grip Teardrop Ratchet meets or exceeds ASME B107.10 torque performance requirements.